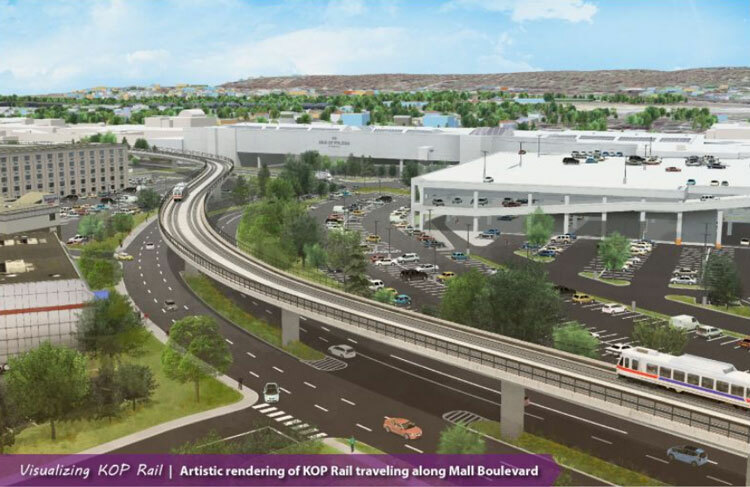 Philadelphia — The SEPTA board voted to award HNTB, Inc. a contract to advance engineering of the King of Prussia Rail (KOP Rail) extension of the Norristown High Speed Line (NHSL). This contract will progress the engineering and architectural design from the conceptual Locally Preferred Alternative (LPA), completing 15 percent of the total design (Phase I). An option is also incorporated to continue advancing engineering to 30 percent complete (Phase II). HNTB, Inc. will be involved in taking into consideration the public’s needs as the design is developed and finalized. The total Phase I contract amount is $7,282,209, funded from an existing federal grant. The contract amount for the Phase II option is $27,328,176 (subject to availability of funding). The NHSL currently provides service between SEPTA’s 69th Street and Norristown Transportation Centers, serving the Main Line area in Delaware and Montgomery counties, and connecting to Center City Philadelphia. Information and updates on KOP Rail is available online at www.kingofprussiarail.com.